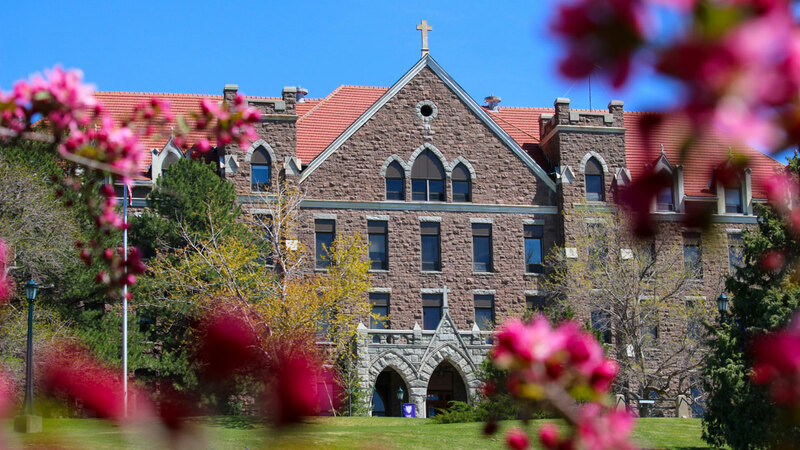 Are you ready to visit Carroll College and see one of the most striking campuses in the Rocky Mountains? It’s a moment we love to see. Young people and their families, coming for a visit and stepping onto our beautiful campus in Helena, Montana for the very first time, taking in the beauty of the surroundings and the graciousness of our people. It’s a powerful moment, and one we get to see all the time. Visiting us at Carroll will provide the perfect opportunity for you to get a sense of the special experience we deliver. You can tour our campus, meet with an admission counselor, attend a class, meet faculty, have lunch with students, learn about financial aid, and even spend the night. You can schedule your individual visit at any time the campus is open—Monday through Friday. To schedule your individual visit just complete our online form, or contact Mindie Moncur, Campus Visit Coordinator, at mmoncur@carroll.edu or (406) 447-4384. What can you do on an individual visit? Campus tours leave daily during spring at 9:00 a.m. and 1:00 p.m., led by our talented Gold Team Student Ambassadors. During the approximately one-hour tour you will explore the campus, see our residence halls, classrooms, labs, offices, chapels, library, the Hunthausen Activity Center, and, of course, enjoy our view of the Rocky Mountains! GROUP TOURS: If your party is larger than 6 guests, we require 10 business days to plan your visit. Please contact Mindie Moncur, Campus Visit Coordinator, at mmoncur@carroll.edu or (406) 447-4384 for all groups. Have any questions about applying to Carroll? During your visit to campus you will meet with your Admission Counselor who will tell you more about Carroll, answer any of your questions, and walk you through the application process. Ever wonder what it’s like to take a course at one of the Northwest’s best liberal arts colleges? While you’re on campus you can sit in on a class of your choice! You will get a taste of our small class sizes and see first-hand the enthusiasm our talented professors bring to the classroom. The Admission Office will help you find a class that fits your visiting schedule. If you have any particular questions about one of our academic departments we encourage you to meet with a professor while you’re on campus (depending on availability). Our professors will field any questions, explain Carroll’s curriculum, and describe the many career possibilities available to a student who has earned a Carroll degree. We understand food is an important factor when making your college decision. So, have a meal on us! During your visit our student ambassadors will take you to lunch in our dining hall. We offer a diverse, buffet-style food selection including vegetarian, vegan, and gluten-free options. While you eat feel free to ask our student ambassadors any lingering questions! While on campus take the time to address the financial aspect of the college decision process. You’ll have the opportunity to meet with one of our Financial Aid Officers who will explain all of the scholarships, loan opportunities, and assistance packages available to incoming students. Open Houses are held in the spring and fall. These events are a great way for you to take it all in, see how our campus comes alive, and meet other students who, like you, are thinking about making Carroll their college home. The agenda includes an optional campus tour, and panels with current faculty, staff and students. The next Sophomore/Junior Preview Day is in March of 2020. This is your chance to be honored for your academic achievements, receive your Carroll scholarship, and visit the Carroll College campus. The next Scholarship Recognition is February 17, 2020. Join us on campus for Meet us on Mondays in March to learn more about our academic programs, student activities, and exceptional educational experiences in and out of the classroom. The next Meet us on Mondays are in 2020. Admitted Student Open Houses are for students who have been admitted to Carroll, and offer an excellent opportunity for you to finalize any remaining details on getting enrolled. It’s also a great chance to meet and make friends with fellow incoming students. The next admitted student open house is April of 2020. Carroll hits the road to meet you! These group presentations are your opportunity to learn more about Carroll College - each program will feature highlights from admission and financial aid representatives, as well as a professor. If you can’t get to Carroll, we’ll send a little bit of Carroll out to you. Our Coffee Chats happen when one of our admissions representatives is in your city and takes time to sit down with you over a cup of coffee and answer any questions you have about Carroll. Watch for your invitation, and we’ll tell you how to sign up. visitNothing can really do justice to experiencing Carroll as a student. But by visiting our campus, you'll get to feel the energy and take in the breathtaking beauty of our setting in the Rocky Mountains. And you'll maybe even create a few memorable moments of your own.